Even though the WAVES were established on July 30, 1942, it would take a few days after that formal declaration for Mildred McAfee to be sworn in as leader. 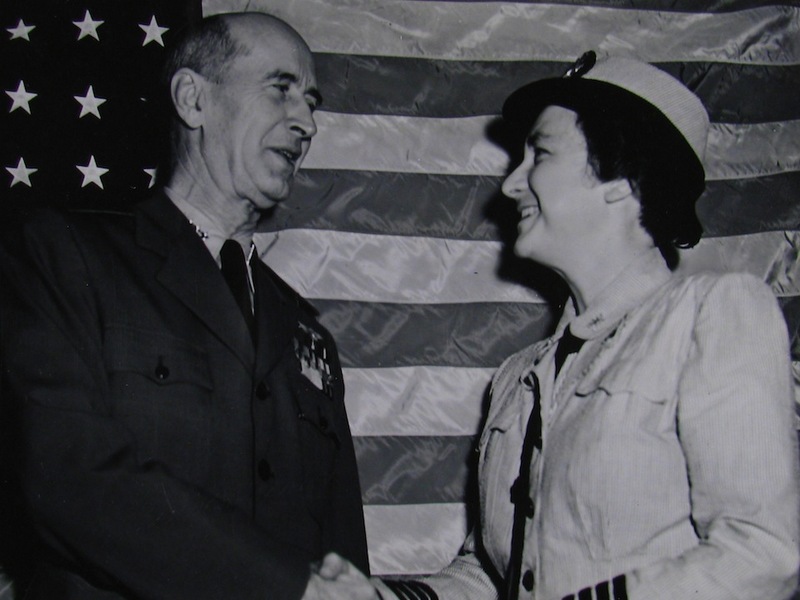 The official enlist date of the former Wellesley President was August 3, 1943. In this image, Adm. Ernest King expresses his approval of the job being done by members of the Women’s Reserve to Capt. Mildred McAfee on the secondd anniversary of the WAVES. More than 70,000 were on duty at the time – nearly three times the number from just a year before. It comes from the National Archives.